M onitoring your brand is not just about paying attention to the online conversations (that would be so simple), but also about actively seeking out instances in which your brand is mentioned. It involves listening and trying to make sense of what you hear, both on an individual basis and as an aggregate perception. If you’re reading this, you're probably a very busy, professionally oriented person, who is always up to date with the most recent trends and strategies in your niche. It’s complicated to keep track of what happens every moment, partly because of the humongous amount of information online and partly because of your very busy day-to-day schedule. We’re going to try finding some fixes to the problems that you may encounter in everyday aspects of your job, such as planning strategies long ahead, predicting problems based on what others have been through when doing the same job or simply performing your tasks with less effort. By now you might be thinking: I already have tons of social media notifications. Why would I need special social media alerts? People talking ABOUT you rarely talk TO you. Take Twitter, for instance, which brings in over two-thirds of all public brand mentions on social media. Yet, despite Twitter’s grasp on brand mentions, close to a third of those mentions do not include the brand’s Twitter handle, meaning if you’re not looking closely, you might never find out about it (until it’s too late, in the case of a negative mention). You can choose to closely keep an eye on them by using monitoring tools, yet you might still need your 100 percent attention. 90% of all brand mentions do not start with “@”, meaning they’re not addressing your brand directly, but merely talking about it. They’re not interested in your input and a lot of them probably don’t want to hear what you have to say. And, as it's impossible to know everything about anything, anytime, you should set up some social media alerts. In order to hear everything, you have to be everywhere. Let's assume you're organizing Web Summit, a conference that gathers the founders and CEOs of technology companies, fast-growing startups, policymakers and heads of state to ask a simple question: where to next? Although the Twitter hashtag is useful in monitoring your event's popularity, letting you see on the spot whenever a hashtag you’ve been using stops being popular, it's difficult to monitor what really matters for you: what people are talking about you. And this is because most of the people won't use a hashtag or won't include @yourbusiness when tweeting. 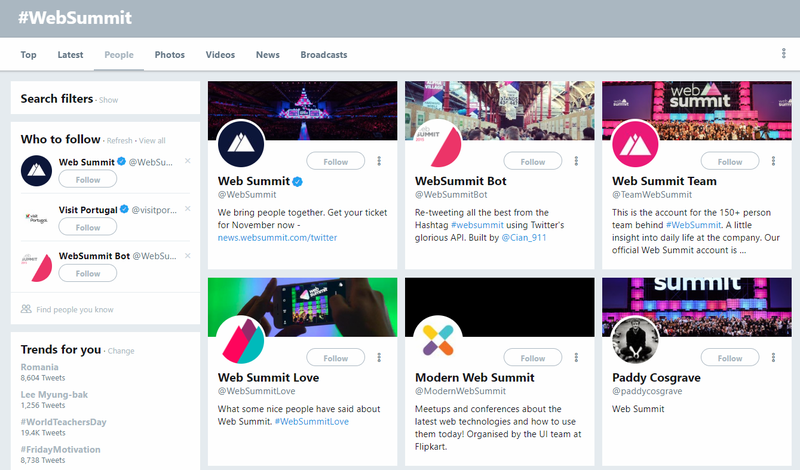 However, regardless on how much you monitor social channels, you can only find out about the popularity of a hashtag pretty late, after you’ve already moved along with your strategic plans, and a Twitter (or any type of social media) alert would help you monitor the mentions as they happen. Monitoring the hype you created with your event on the spot could come in handy, especially since you probably have some marketing objectives to reach (given the industry of the event). And here is where alerts step in. 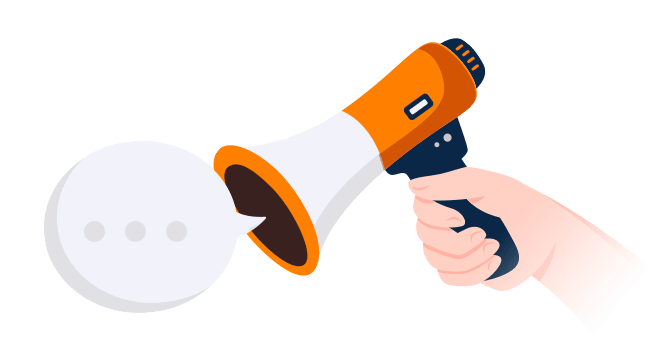 The alerts displaying recent mentions empower you to focus on what’s really relevant, having a colossal contribution to the social media marketing campaign success as well as your tight professional schedule. Of course, this also gives you the possibility to reply to every mention you’re tagged in, being relevant to your users without losing productivity in an endless scroll quest on the page feed. This one’s not only a powerful time saver but also a form of strategy adjustment that saves time of implementation in whichever campaign you’re focused on. Afterward, brandmentions.com notified me into the inbox about the current situation of the Twitter mentions for the brand I had selected. Google Alerts can be used as well as a social media monitoring tool; however, it doesn’t report all the mentions and it sometimes doesn’t hit your inbox on the spot. However daunting the idea of monitoring a brand can be (as it’s a time-consuming task), there are some perks that make it worth it. For once, if you set an alert and get all the web mentions as they happen, you can engage with your competitors' audience. To take it even a step further, you can borrow authority sources to invest content in your brand and to take the time to listen to a well told story. For instance, let’s assume you represent the Biking mammoth ‘Pinarello’, and your main competitor will be ‘Colnago’. Let’s see what you can learn in terms of web popularity, engagement and why not, content marketing. It's a triathlon team endorsement made by Pinarello’s competitor and it’s a good promotion opportunity. 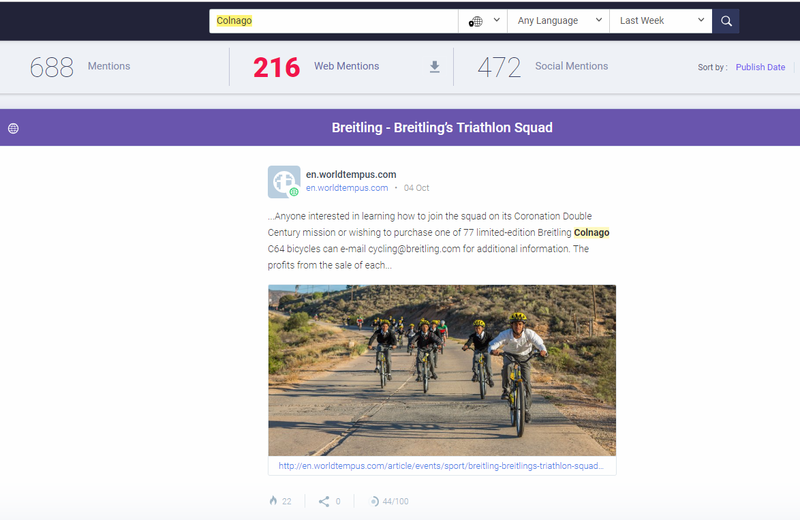 Being in Colnago’s shoes (or one of their social media managers), you could pitch the source of the mention and see if you could get involved in the event. We all have our professional crushes on people who do their job so well that it’s borderline impossible not to find them inspiring. Some people name these "crushes" as influencer marketing. If you’re a content writer in the personal development industry, one of these people is Mark Manson. For an author who works in a very mature niche, he surely knew how to build his way towards indisputable success. He used to post quite rarely on his blog but despite that and the non-aggressive marketing policy, he managed to have thousands of views on each of his articles. Monitoring an influencer (or a keyword or phrase related to them) helps you understand his strategies from the point of view of the people who mention him on the web. Let me walk you through this. Famous people who are at the top of a niche don’t get to be mentioned on the web just because they’re popular. It’s the other way around, actually. People mention them because of specific things they’re doing really well. Alerts that track mentions and the reactions people have on the web to their work are a great way to keep in touch with the improvements you can do to get a little closer to the professionals you respect so much. It goes without saying that it is a time saver, as it provides you with strategies and insight that you can implement, even when you haven’t taken them into consideration. Suppose you work in the industry of photography exhibitions, and you’re planning on organizing one two months from now. At this point, in the initial planning phase, you’d be interested in gathering as much information as possible on the current trends. Initially, you will attend some of the best and some of the least promoted ones to compare and contrast and be able to create a logistic checklist. Working as part of a team for such a project may lead to similar thinking and circular solutions. The Google search results page doesn’t give too much insight on a first query, so it would be time-consuming to keep researching in this classical (come to think search engines are already a classical research instrument) way. 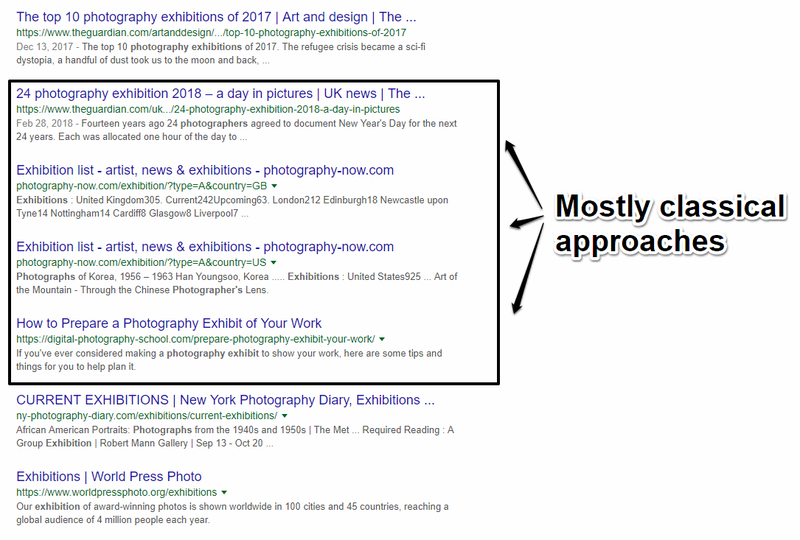 This is when monitoring the web comes in handy, as it gives you real time feedback from the ongoing exhibitions, allowing you to monitor the strategies that work and those that don’t. 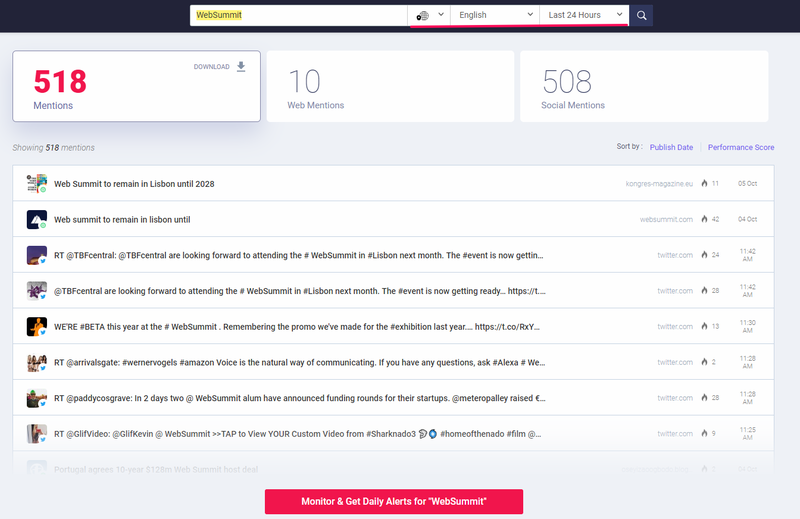 BrandMentions allows you to do more than brand monitoring; it allows you to create an alert and be notified as the mention happens. 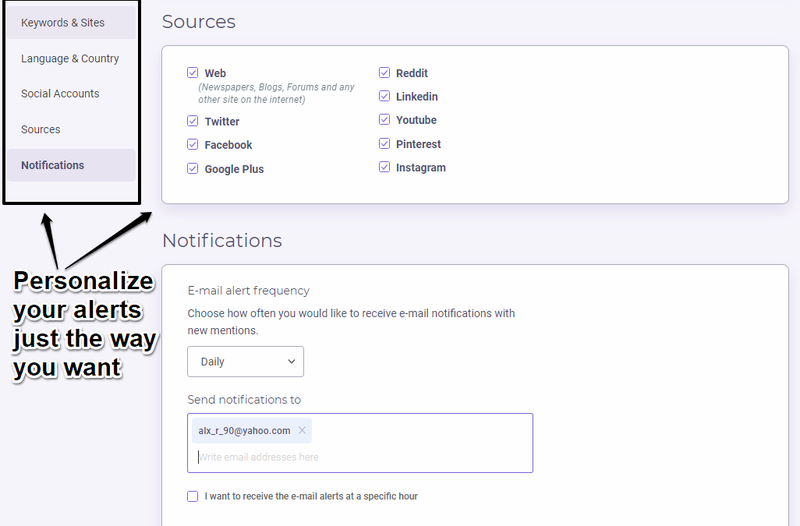 It gives you the possibility to select the source of your mention, and this can restrict the emails to what you’re interested in analyzing. The topical mention alerts are a great solution for gaining a fresh perspective on the same old issues that you seem to be confronted with. It’s true that every project is different than the previous ones, but the same rules apply and it’s always refreshing to take a look over the fence for inspiration. It’s a time saver not only because you get all the fresh information delivered into your email, but also because it saves precious brainstorming time, giving you new ideas as they happen, a form of competitive insight that wasn’t even possible a decade ago. 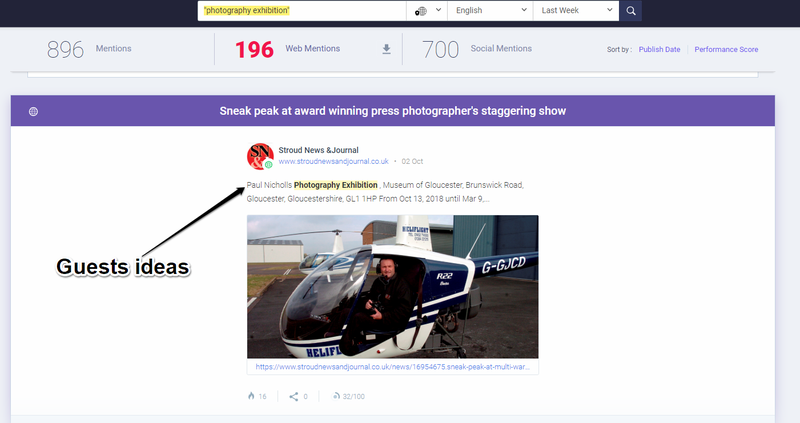 These alerts help building a stronger means of research, as aside from being able to look for the most recent information on the web browsing the tool, you can also get the freshest mentions delivered to your email inbox. All this can happen without having to spend long hours researching techniques. Of course, web and social media monitoring for different marketing reasons doesn’t replace a marketing strategy, but it increases the odds of gaining momentum without too much effort while saving time for the real long-term strategies.